To begin, back in Sept. 2017, I put out an EMWH Newsletter with some of the research I found on Troy Downing, a Senate candidate, whose MT residency was being questioned by writer Don Pogreba in August. I found there were also 9 FWP citations involving residency and transferring of a tag. Shortly after, I received a written notification from FWP (per their policy), that my hunting & fishing license history had been requested, showing the requester and the provided information. I wrote a Newsletter on this: Nov. 3, 2017 - Opposition Research - Making Bullets In A War Against Conservationists. The person requesting my hunting & fishing license history is Naji Filali, a partner in Percipient Strategies LLC. Percipient Strategies LLC is based in Washington D.C., a new company whose website was registered in July 2016. Their website states they are, "Started and run by rising political researchers from the Republican National Committee…" They do opposition research. I am not a candidate, so I was curious why someone would be doing oppo research on me, an Independent voter, general member of the public. Then on Dec. 5, 2017, I wrote on Downing's California Property Tax record, showing his current 2018 resident homeowner's exemption, (scroll down a bit). I was not able to make it to Downing's rescheduled Omnibus Hearing on Feb. 14, 2018, so I called a beautifully detail-oriented friend back in Bozeman, to see if she could attend, providing details for me. Thank you, Nancy. A jury trial date has been set for May 23, 24, and 25, 2018. Downing's attorney asked for 30 jurors instead of the usual 16-25. The Senate Primary Election is June 5, 2018. I am wondering if they are hoping to pull a Bundy with the jury trial. If convicted, according to the FWP Uniform Bail Bond Schedule, Downing could lose his MT hunting & fishing license for about 2 years minimum. 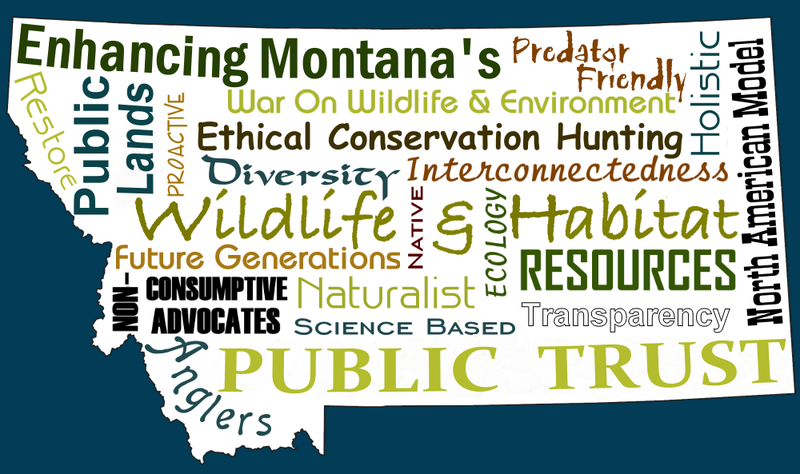 Montana is also a member state in the Interstate Wildlife Violator Compact. “When a person has their hunting, fishing and/or trapping privileges legally suspended in the Compact state where the violation(s) occurred, the suspension may be recognized by all of the member states of the Compact. Having your privileges suspended in Montana means you may also be prevented from hunting, fishing and/or trapping in all the Compact member states.” Downing could potentially lose his hunting & fishing license privileges in 46 states, not just Montana. 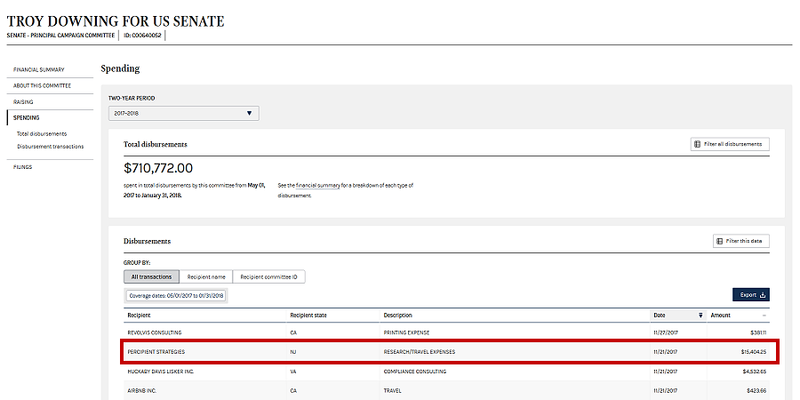 So back to Percipient Strategies, I have been waiting for Downing's newest quarterly campaign filing to see if Percipient Strategies was hired by him for opposition research. Guess what I found? On Nov. 21, 2017, $15,404.25 was paid out to Percipient Strategies for “research” by the Downing campaign. Surely, not all of that was for me, but hell, they could have paid me directly to share my hunting license history and salacious details. Is this the characteristic of the person we want representing Montana in Congress?